Argilos is situated on the north Aegean Coast, four kilometres west of the Strymon delta. It is one of the earliest Greek colonies in this area, founded in 655/54 B.C. 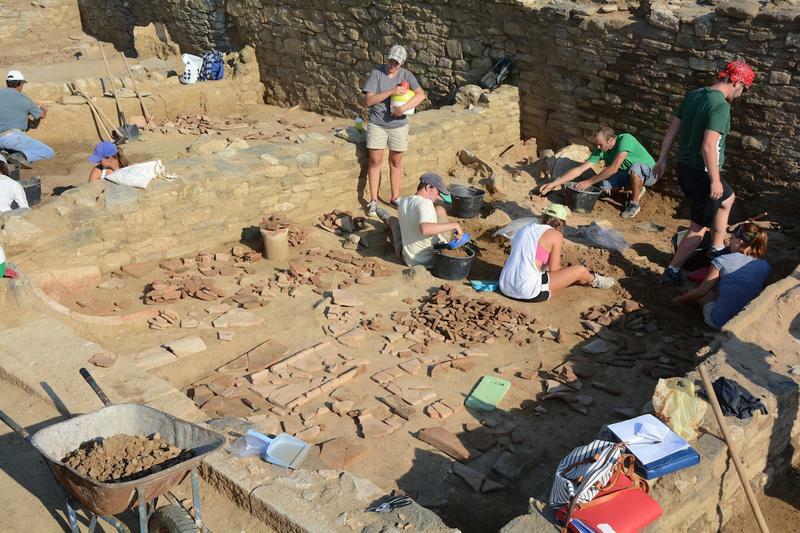 Excavations conducted by the University of Montreal and the Greek Ephoreia of Serres have uncovered extensive architectural remains, covering all periods of occupation. The city prospered for some 300 years and was destroyed by Philip II, the father of Alexander the Great, in 357 B.C. Only the Acropolis remained occupied for another 100 years. For the last 5 years, we have been excavating a unique complex of 4 major buildings, one consisting of 12 shops, the others being workshops and houses. The commercial building dates back to the 6th century BC and is unique in Greece. In 2019 we will have a major excavation campaign. Our main objectives are A) to continue the excavation of this large complex of shops; B) to continue our excavations of the adjoining buildings, were workshops and houses have been found; and C) to work on the finds coming from this area (pottery, coins, metal objects, etc.) stored in the local museum. 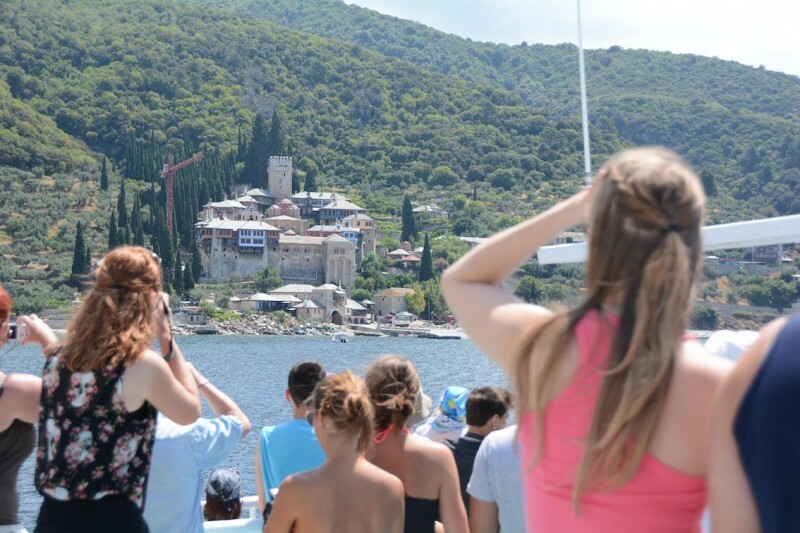 Also, as we do every summer, field trips will be organized to important archaeological sites and museums in the region (Pella, Vergina, the archaeological museums in Thessaloniki, Philippi…). An optional three day visit of the beautiful island of Thasos is also organized. 1. Theoretical: history of the site and the vast region of Macedonia / Thrace, workshops on architecture and urbanism, pottery styles, etc. 2. Practical: methodology and excavation techniques, work on the site (including architectural and stratigraphic drawing, working with electronic surveying instruments, etc.) 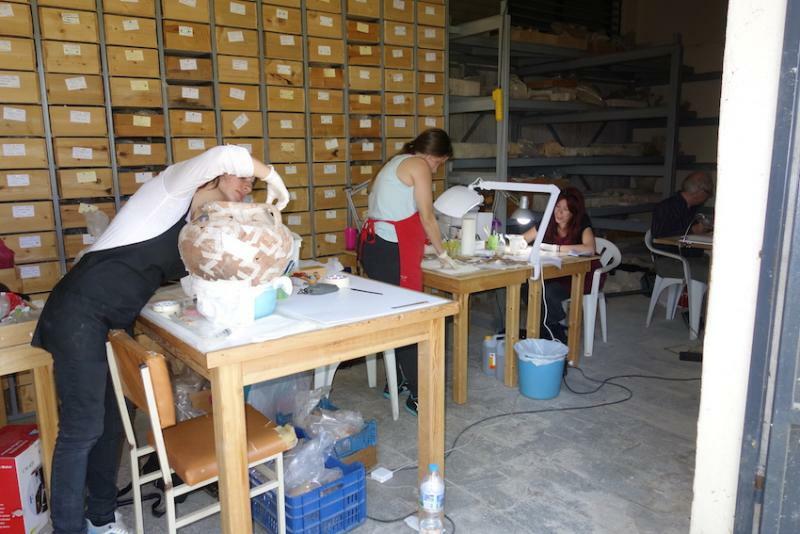 and at the museum, cleaning and cataloguing of artefacts, profile drawing, documentation, etc. 3. Discovery: field trips to various archaeological sites and museums in the region and optional 3-day stay on the beautiful island of Thassos. Join are international team and meet students from Canada, USA, Australia, France, England, Greece and as far as Japan ! Argilos is situated on the north Aegean Coast, four kilometres west of the Strymon delta. It is one of the earliest Greek colonies in this area, founded in 655/54 B.C. 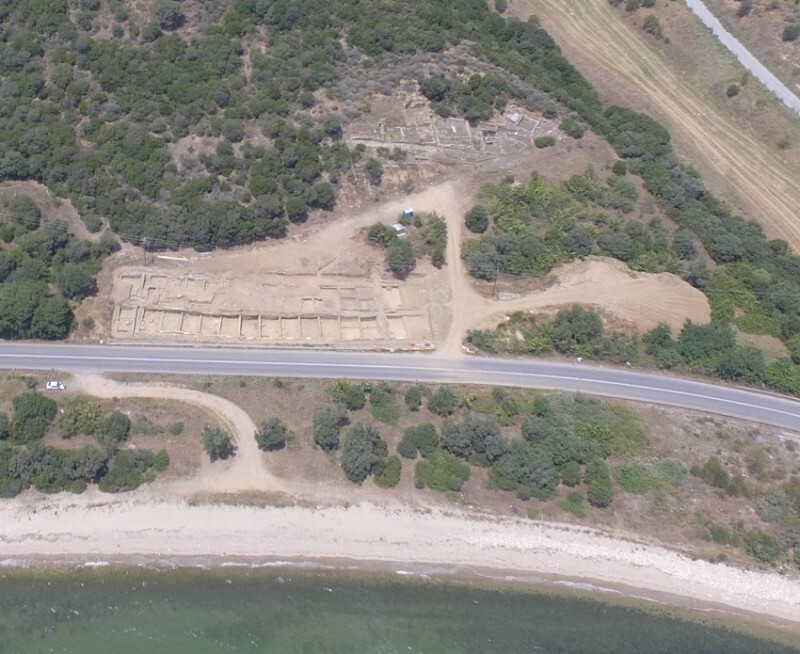 Excavations conducted by the University of Montreal and the Greek Ephoreia of Serres have uncovered extensive architectural remains, covering all periods of occupation. The city prospered for some 300 years and was destroyed by Philip II, the father of Alexander the Great, in 357 B.C. No need to speak French ! This is a multilingual excavation (all staff speak English, French and Greek) and students come from all around the world. Visit our website ! Students share rented apartments, each with kitchen and washroom, situated in the nearby village of Asprovalta. Fees include food (except on Sunday) and accommodation, and weekend visits to various archaeological sites and museums in the area, but do not include travel to Greece or the 3 day optional visit to the beautiful island of Thassos. J. Perreault, Z. Bonias, "After Zagora: Andrian colonisation in the Northern Aegean, the Case of Argilos », in Zagora in Context. Settlements and Intercommunal Links in the Geometric Period (900–700 BC). 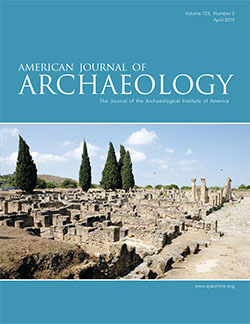 Proceedings of the conference held by The Australian Archaeological Institute at Athens and The Archaeological Society at Athens, Athens, 20–22 May, 2012 (2015), p. 259-272. J. Pereault-Z. Bonias, Argilos aux VIIe – VIe siècles, Treziny, H. (dir. ), Grecs et Indigènes de la Catalogne à la mer Noire, Bibliothèque d’archéologie méditerranéenne et africaine 3 (2010) p.225-233.